Throughout her long and distinguished reign, Queen Elizabeth II has been presented with gifts of great value and historical significance. Published to coincide with the Summer Opening exhibition 2017 at Buckingham Palace, Royal Gifts presents a selection of the gifts given to The Queen. A spectacular display of craftsmanship, these fascinating objects come from more than one hundred countries, and cross every continent. Many commemorate remarkable moments from throughout The Queen’s reign, including meetings with world leaders such as former US president Dwight D. Eisenhower, former South African President Nelson Mandela, and President Xi Jinping of the People’s Republic of China. Others mark key milestones like The Queen’s ninetieth birthday and Diamond Jubilee. 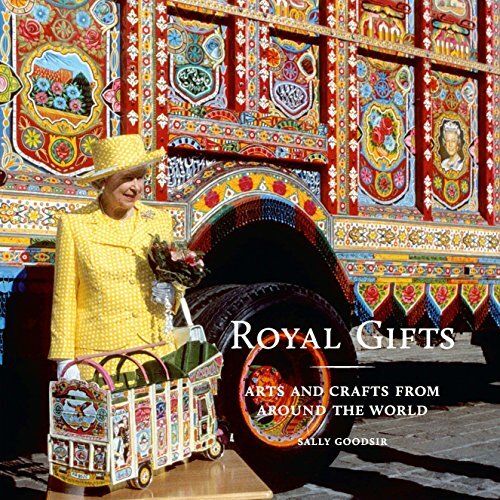 Bringing these gifts together for the first time, including some that have never been published before, Royal Gifts includes beautiful new photography and descriptions of each gift’s creation and presentation.